In this definitive guide, we have put together everything you need to know to care for your birds – from chick to chicken to help you along the way. Believe me when I say that you will never stop learning or smiling once you have chickens. Why are you raising them? – Eggs, meat or pleasure? Where are you going to put them? Are you prepared to spend time with them? Are you ready to ‘muck out’ their coop when necessary? Who will take care of them if you go on vacation? Are you allowed to have chickens – if so, how many? These questions might seem frivolous, but there have been many folks who did not realize how much work and time was involved in taking care of them and the birds suffered accordingly. 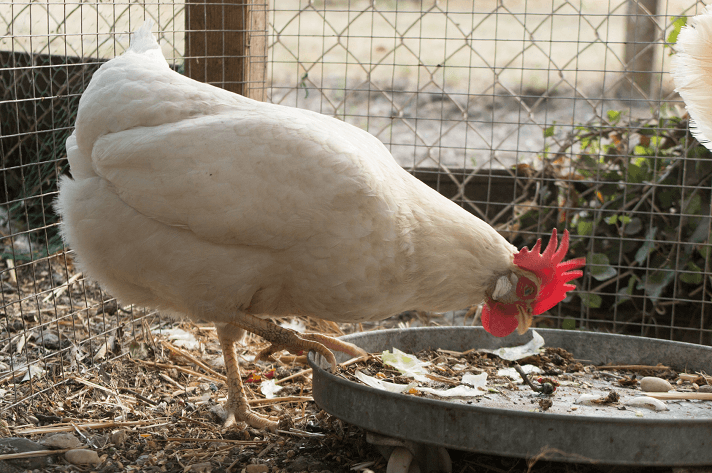 Chickens need care and attention, much as any pet does – even through the winter when the snow is high and they need fresh water, are you prepared to do it? Once you have asked yourself these questions and have decided that yes, you can do this and want to do this, your next move is research. Here we are in the twenty first century with a stunning array of chickens to choose from. How many different breeds are there? Truthfully, no-one really knows, but it is estimated to be in the hundreds. There are birds that have been specifically bred for enhanced egg laying, quality meat, fighting and plumage. If you’d like to know more about breeds, then please read our complete guide to all chicken breeds here. Why research, all chickens are the same right? Wrong! You will be sadly disappointed if you want egg layers and have bought a bunch of Sultan chicks because they look pretty. They will lay an egg per week if you are lucky! It’s time to take the plunge! You want chickens and know which breed you’d like but aren’t sure where to start. When you get chickens for the first time you have a few different choices. We are going to look at the good and bad of each option. You can buy hatching eggs, chicks, started pullets or adult birds. Each choice has its merits but it’s really about what you feel is best for you. Financially, the cheapest option is the chicks. Pullets will cost you more because of the care, feed and time expended to raise the bird. Adult hens in their prime are the most expensive. Rescue and ex-battery hens are usually cheaper than pullets but more expensive than chicks. You can generally average out how many chicks you will need. If your birds are for eggs only, then you just need to think how many eggs do you use in a week currently? One hen will average four to five eggs a week. Throw in a couple of extra chicks for ‘just in case’ and you have your number! For example if you want 16 eggs a week you would need 6 hens (4 would normally do this many eggs but I’ve included 2 ‘just in case’ chicks). Where Do I Get My Chicks? The best place for beginners to buy their chickens from is a local farmer, hatchery or farm supply stores. Though, if you want to purchase your chickens from further away the USPS has been shipping chicks for about one hundred years and will ship chicks which you purchase online. Read our guide on What to Ask Breeders before Buying Chickens here. All birds should have clear, bright eyes. They should be curious about their environment and you. Feathers or fluff should look clean with good coloring. If a bird, regardless of age exhibits any of these signs you should avoid buying it. Chickens are not very demanding when it comes to houses. They don’t need running water, electricity or carpets. A modified basic wooden box will do in a pinch, but there are a few crucial things you need for your flock to ensure their safety and wellbeing. 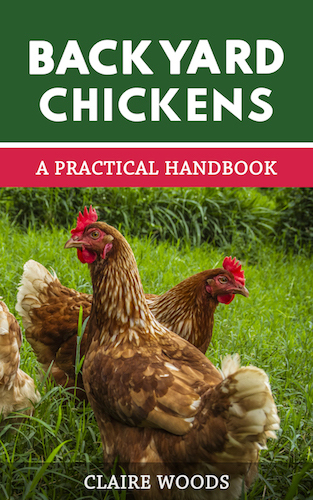 If you want to build your own chicken coop read our guide here; you can get 44 chicken coop plans here. This is the most basic need of all, a place where they are able to get out of the blistering sun, howling wind or blowing snow. The coop needs to be water resistant as there is nothing more miserable than a wet chicken. Adequate space for birds to co-habit peacefully is essential. If they are crowded together they are likely to start anti-social behaviors like picking and pecking each other. The worst time for these behaviors is winter; hens get bored and create mischief. Ideally, the coop should be cool in summer and warm in winter. 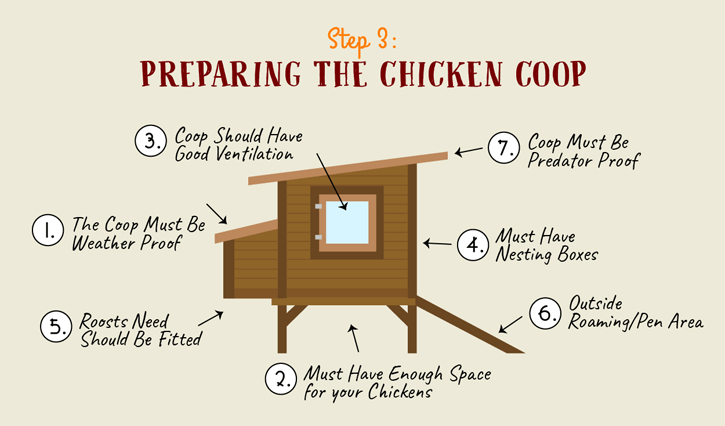 Correct ventilation of your coop is crucial when it comes to temperature regulation. A good flow of air will keep the coop at an optimal temperature for your hens. If you think it’s too hot you need to add more ventilation holes. With nesting boxes you will need approximately one box for every three hens, but it never hurts to have more. There is always one favorite box that they will squabble over, so more is better. 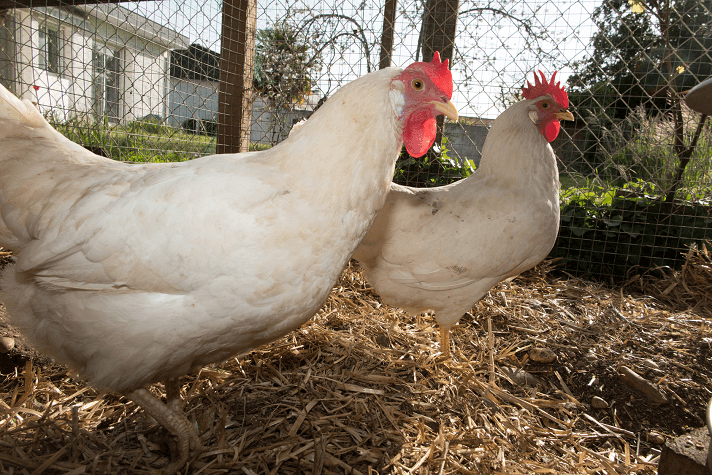 Read more here: Chicken Nesting Boxes 101. Roosts are simply the place where the birds congregate to sleep at night. They will all generally sleep on the same perch (roost), although some do prefer to be by themselves if they feel perfectly safe. You can read what perches are and why your hens need them here. In addition to a secure coop your chicken is also going to need access to some outside space; regardless of whether this is contained or free range. You can read all about should I free range my chickens here. If you don’t want them to free range you could always use a chicken tractor. A strong and formidable coop will keep your girls safe at night. Do not think, even for a minute, that predators won’t be bold enough to sneak into your yard and try to kill your birds – they will and they do, with catastrophic results for your birds and heart break for you. Check out our article on how to predator proof your coop whether you build it yourself or buy one. Now that you have done your research, decided on your breed, what happens now? If you have ordered them online, the website you have ordered them from will likely carry all the things you need to make your chicks a home. If you are buying from a farm store, make sure you have everything you need for the chicks in advance. Farm stores usually sell a large amount of chick related items. Make sure that you know what to get otherwise you could be parting with hard earned cash for something you don’t want or need. It helps to break things down into needs and ‘extras’ so that is what we have done here for ease of reading. This can be as simple as a cardboard box. It needs to be tall enough to keep the chicks from jumping out. It needs to be large enough for a food dish, water dish and the chicks. It also needs to be draft proof – cold drafts can kill chicks very quickly. Brooding boxes come in all shapes, sizes and costs. 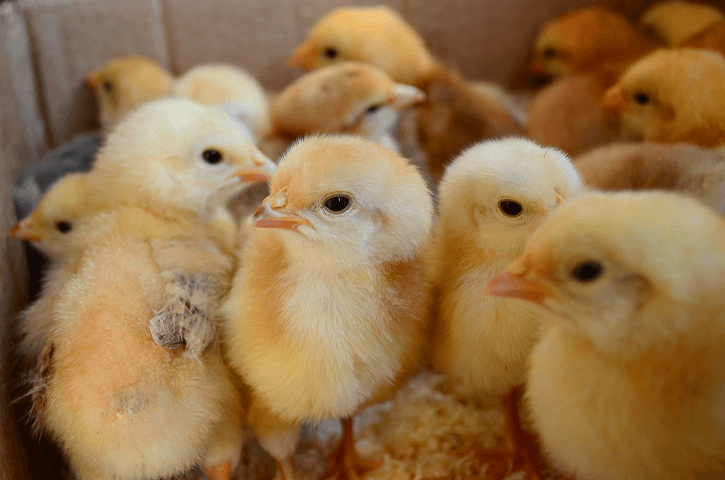 If you are not sure whether you will be brooding chicks again, get the cheapest brooder to start with – you can upgrade yourself later. Something soft like pine shavings. These are sold in small bales at most farm stores and they are inexpensive. If your brooder box has a slick floor (like plastic), lay some paper towels under the bedding so they can grip and stand properly otherwise they may develop problems with standing and walking. Chicks require warmth – lots of it. They do not have true feathers until they are around 6-7 weeks old so cannot regulate their own temperature, so you must help them. You can use a heat lamp or ‘Electric hen’ heat plate. They will need to be warmed for around 6-7 weeks or until the ambient temperature is roughly the same as the brooder. During the first week the temperature at chick level will need to be 95F. This will reduce by 5 degrees each week until ambient temperature is reached. How do you know if they are warm enough? If they are all huddled in a bunch they are too cold; if they are spread to the edges of the brooder they are too hot; if they are dotted all over they are just right. A thermometer will help you with this too, but base your judgment on the chicks’ behavior. Chick feed can come as medicated or un-medicated. The medicated feed is medicated with a coccidiostat which helps to protect them from coccidiosis – a terrible disease. If your chicks have been vaccinated at source for coccidia, then do not use medicated feed. Chicks are messy; they will scratch their food all over the place, poop in it and get their bedding in it, so you need a feeder that will eliminate some of that mess. For more details see our article on feeders. Once they start eating greens such as short grass or dandelions, they will need a small dish of chick grit to help their digestion and make sure they don’t get an impacted crop. Water is essential to the wellbeing of all creatures, chicks are no exception. The water should be at Goldilocks temperature – not too hot, not too cold, but just right. You will need to dip the beak of each chick into the water at first so they know where it is, after this they should all be able to find the water dish. Do the same with the food dish too. If your chicks are just a couple of days old, you will need to add some clean pebbles or marbles to the water dish so they can’t fall in and drown. After a week or so you can remove them since the chicks will now be big enough to not drown themselves. You can add an electrolyte/vitamin supplement to the water for the first few days to get them off to a good start. Change the water frequently (several times per day) as they will kick bedding etc. into the water regularly. Whoever said ‘cleanliness is next to godliness’ never kept chickens. I have already told you that chicks are messy, so you get to be ‘room service’ for them! It is very important that their brooder area, feeder and waterer be kept clean. The poop needs to be removed daily, change litter as frequently as you need. Once it becomes wet, it must be changed. 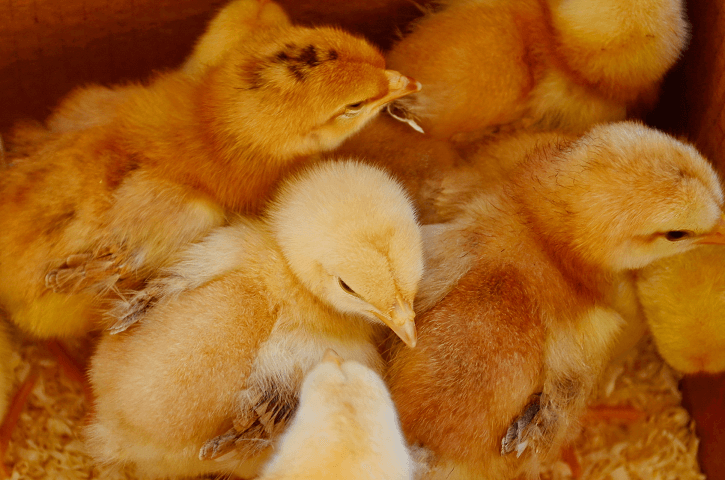 Remember, the brooder is very warm, there is poop and it is wet – it is the perfect breeding ground for bacteria. Wash and sanitize the feeder and waterer at least every other day. If your chicks are as messy as mine, you will have to throw out a good amount of feed too. Once they poop in the feeder – out goes the feed. Of course, don’t forget to sanitize and wash your hands before handling food or them! Your brooder full of chicks needs to be somewhere safe from predators – and I include house pets as predators too. If you are keeping them in the house you will need to ensure that Fido and Fluffy can’t get to those little balls of fluff, perhaps keeping them in a separate room or a secure lid to the box. Try to avoid keeping them in areas such as the bedroom, dining area and kitchen. They kick up a lot of dust and dander, people who are allergic to dust may have problems with them in the house. If you intend to keep the chicks in an outbuilding you need to be able to exclude any predators you may have in the area. Rats like a chick snack as do foxes, weasels, raccoons and a host of other carnivorous creatures. They will need you to care for them intensively until they are around 12 weeks old. Some folks say sooner, but I err on the cautious side. If you are thinking of putting them outside for a few hours every day you will need to have something like a dog crate or even a mini-chicken run for them. Of course it will need to be predator proof – and that includes hawks and owls as well as digging creatures like foxes. They will need to have a shady area where they can escape from the sun and keep the food and water cool. So now your chicks have grown up into real chickens! Managing your adult flock may sound like its complex, but in reality it’s fairly simple to do. The hen does all the work and you take care of her needs. However, there are certain things you should know before you get overwhelmed by hiccups in the process. Water is essential to all living things and chickens are no exception. A hen will drink about a cup of water each day. She will take frequent small sips throughout the day. Too little water can affect egg production among many other things, so make sure they have plenty. There are approximately fifteen cups of water to one US gallon, so if you have a lot of birds you will need a couple of drinkers for them. As an example I have around forty birds and I put out four drinkers in various places, which ensures they all have access to water. You can place the water in any sort of plastic container, but the easiest way is to buy a drinker. In addition to water the other key thing a chicken needs is food. Read our complete guide to chicken feed here. You will also need a feeder to store the food in; you can read chicken feeders 101 here. Unfortunately most people lead busy lives and don’t have all day to tend to their chickens. 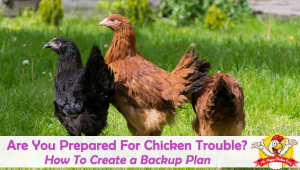 In the morning you will want to let your chickens out of the coop, check on their feed and water, and have a general look around to make sure everyone is ok. When the sun comes down, it’s time to start the evening routine. This will include locking your girls safely inside the coop and also collecting the eggs (if you haven’t already done so). Unfortunately it’s likely that at some point during your chickens’ life they will have some sort of problem, whether that is broodiness, predators or bullying. There are several common problems that occur when you have chickens. If you aren’t prepared for them they can seem frightening or overwhelming. Molting is the process of losing all old, worn out feathers and replacing them with new plumage. It happens to all birds including roosters. Some birds can take up to two years to complete a molt, but the humble chicken is usually done in three months. Read our guide to molting here. If they are losing feathers and it isn’t molting read; Chicken Feather Loss: Cause and Cure. We all love our feathered friends, but one of the main reasons people keep them is for the eggs. When they stop laying eggs it can be alarming; make sure to read 7 Reasons Why Your Chickens Stopped Laying Eggs. What is a broody hen? You will know it when you see it! She will sit in the nest constantly, if anyone approaches her she will grumble, squawk and puff herself up, she may give you an almighty peck too. What exactly is a broody hen and how to stop it? The pecking order is so called for a reason. Each and every bird in a flock will have their own place. Those at the top get to eat first, those at the bottom eat last. It is a very simple but effective hierarchy so that all members know their position. Bullying does occur to a small degree each day because of this. If a chicken goes out of turn she gets a quick peck to the head to remind her of her status. If the bullying gets out of hand read; How to Stop Them Pecking Each Other. Even if you live in the middle of the city, there will be a chicken predator in your neighborhood. Foxes, coyotes, raccoons and the ‘pet’ dog down the road will likely all want chicken dinner and these are only the ground predators. The key to your flocks’ safety is coop security and awareness of predatory animals and the area in which you live. 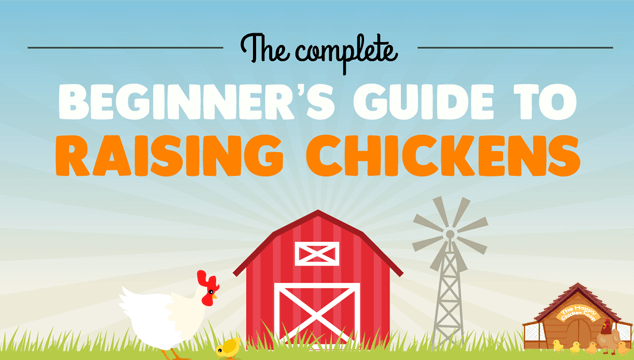 So there you have it – the complete guide to raising chicks and chickens. We have tried to distill it down to basics so that it won’t become confusing for you. You are encouraged to read and ask questions, especially if someone nearby has been raising chickens for a while. Sometimes things work better one way than another; don’t be afraid to change things around a bit – no one thing fits all situations. I have just discovered this site and LOVE it. I grew up with chickens then after I married had a flock but they got sick and all died ;(. I am wanting to try this again. I purchased chickens at our local auction last night and realized after reading this I may be in trouble. I am not sure what age my girls are at out can you tell what age so you can feed them correct food. 3/4 of my family Is desperate for chickens. However, one person doesn’t. Do you have any good arguments for keeping bantams in our yard? Hi. I love your site. One of my (3) hens was killed by a stray dog. I want to replace it but worry will a lone newbie be pecked by the older hens?! Any ideas? I would recommend adding at least two chickens at a time to prevent this. What is the best site to purchase healthy chickens. My mother was raised with chickens and I am anxious to buy my first chicks. Thank you so much for this website and guide. Hello. Thank you for this website as it has been extremely helpful. I’m a new chicken owner as of November. Can you please tell me the best insecticide for the yard and chicken and roost? Thank you! We have a family hobby farm, but don’t LIVE at the farm, i’m about 15 minutes away from it. In the summer we are there pretty much every day. What are your thoughts on chickens? We are wanting meat chickens. I know the chicks need the most care for the first 8 weeks… we could probably keep them in our garage during that time. but would like to move them to the farm once they are ready for their new home. We have a space already set for chickens, large chicken house and 30 acres for them to roam, even have a pond! I love the idea of my children learning how to do chores and how the farm to table thing ACTUALLY works (not just getting food from the grocery store). BUT do chickens NEED someone every day once they are big or could it work if we sometimes didn’t get out to the farm 1 day they’d be OK? 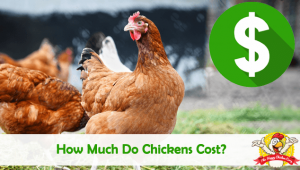 The house is an indoor/outdoor deal so they would have plenty of space to be in/out and walk around if we weren’t there to let them out… Also – do you have a list of must have’s for a first time chicken owner? As far as checking on your chickens, if they are free ranging on 30 ACRES the first thing that comes to my mind is predators. Once they catch the scent and the location it is just a matter of time. Chickens do not need someone everyday if you are not worried about having them in an enclosed structure, or you can check out our recommendations for a automatic chicken coop doors and automatic feeders. If you automate the process chickens are self sufficient, until they start laying eggs and cracking them because of real estate. So that would have to be automated as well. You can miss going to the farm for a day, max two, but I would not advise it for any longer. I was given 3wild/rescued bantam chickens at 10 weeks old, I was told. They are now 18 weeks old and will probably be laying soon. My problem is that they are very scared of me. Sleep together up a tree but get on well with the other hens. I would love to have them go in the hutch at night with the other hens. How can I tame them and get them to use the nesting boxes when the time comes.thanks for any help you can give.